At the threshold of Mani, an exciting destination! The deep blue water of the beautiful city of Gytheio reflects its colors on the Laconian gulf. Scattered chapels, cobblestone streets, the Ancient Theater ,the Kranai island, the Tzanetaki tower, the lighthouse: a sleeping guardian, and many seafood delicacies, tasty temptations, delicious appetizers , ouzo and refreshing cocktails. A land made of stone and sun, historic and infinitely charming, the region of Mani counts over 98 traditional villages and towers of an unrivaled architecture, innumerable Byzantine churches and, of course, the Caves of Diros. Here, history and nature are a living tradition. Underneath the land of Mani, there is a hidden unspeakable beauty, the most beautiful cave of the world, the Caves of Diros. 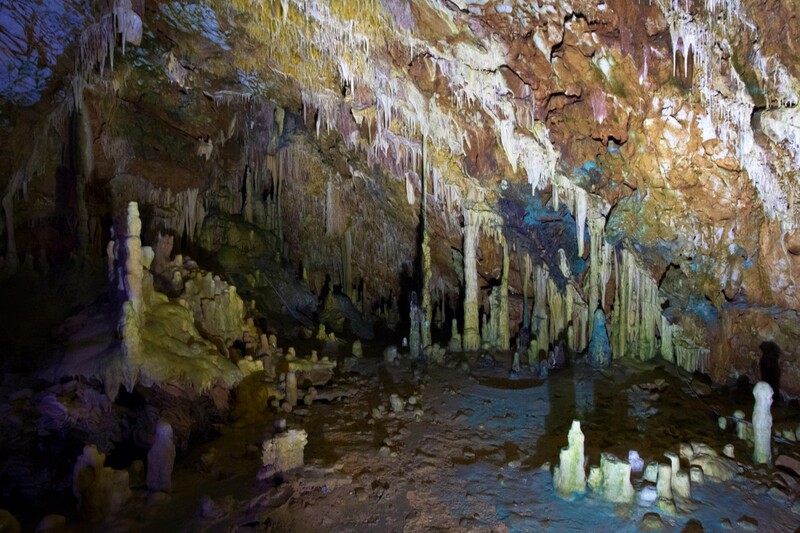 Visit the grot and have the 45-minute labyrinthine walk among the stalactites and the stalagmites. Like a floating fortress, Monemvasia, is surrounded by pirates’ and corsairs’ bases of operation and combines, in a unique way, the geomorphology of the rocks and human’s fortifications. It is an immense monumental museum of worldwide range, with an aristocratic past and a unique historical value. . Moreover, the museum of the archeological site of Mystra, which is housed in a two-storey stone building from 1754 , contains a range of reliefs , manuscripts and ornaments collection.